Doc’s Clock will provide the Barbie and art supplies, and you bring your twisted imagination to transform Barbie into your worst nightmare! Link. Party starts at 8pm. My oldest friend once had a burnt, headless, blood dipped Barbie hanging from a noose in the middle of her car. She is now a doctor, married, and lives in the suburbs. goodness of the raspberries, that lightly flushes out all the adamant fat that is boost among your body. fruit product that has shocked the shoppers with its rattling results. it is the natural, pure and safe supplement that named is. 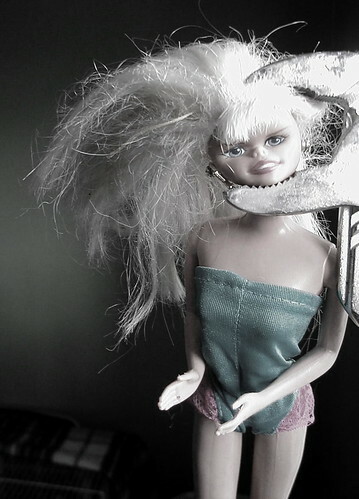 i hate barbies for sueing bratz. they’re horrid. Your article was full of useful information. I appreciate your writing style using which you can compile a big amount of information in such a small size post. I wanted to thank you for such an informative article!! I enjoyed every little bit of your writing. I have you bookmarked to check out new stuff.